Welcome to Origin II, an exiting new range of audio visual furniture for flat panel televisions. Strikingly clean, simple and adaptable, the design ensures that any screen and separates are shown at their best. Packed with so many features this range really does stand out from the crowd. Hanging the screen as if on a wall and suspending separates as if floating in mid air, the Origin II range adds presence to anyone’s audio visual units. 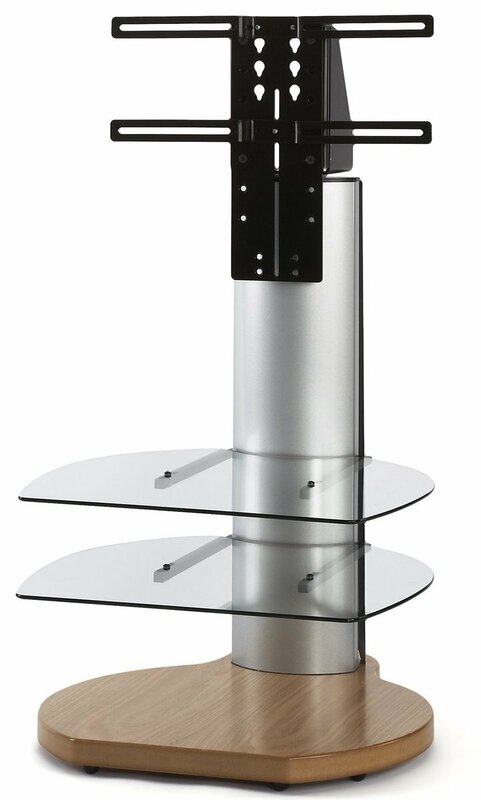 The toughened safety glass shelves (toughened to BS6206A) have rounded corners and polished edges, and can be easily adjusted letting you have your AV equipment at a height that suits you. The screen height can also be adjusted, allowing you to watch your TV comfortably and personalise your display. 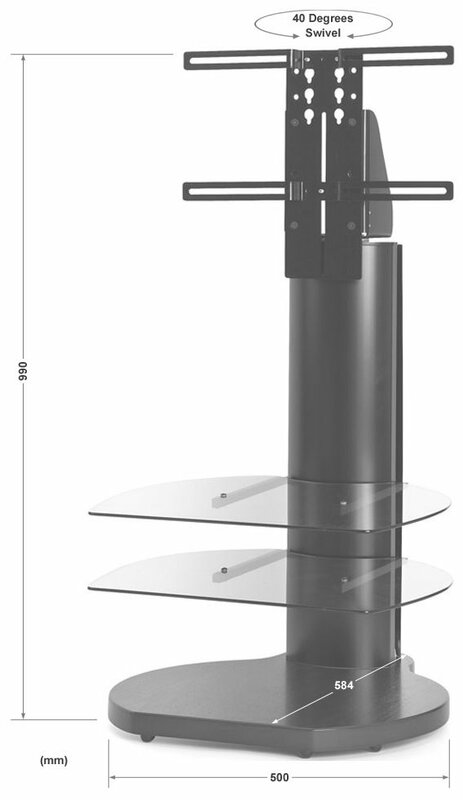 The stands clever design allows all the cables to be simply organised and neatly hidden from view inside the main column which has ample space to house even the most complex of AV set ups. Also included inside the main column is a gang plug or 4 socket extension cable. This minimises the power cables which come out of the rear of the stand. A large set of cable ties and cable tie mounts are also supplied. The mess of wires you once had will simply disappear. Constructed from thick steel sections, laser cut and curved aluminium, the Origin range is not only strong but also beautifully finished. The open design means there are no dust traps so the stand is easy to clean and to clean around. Whatever you've got, however you like it, wherever you want it... without the wires, the Origin II stand is at home in every home. 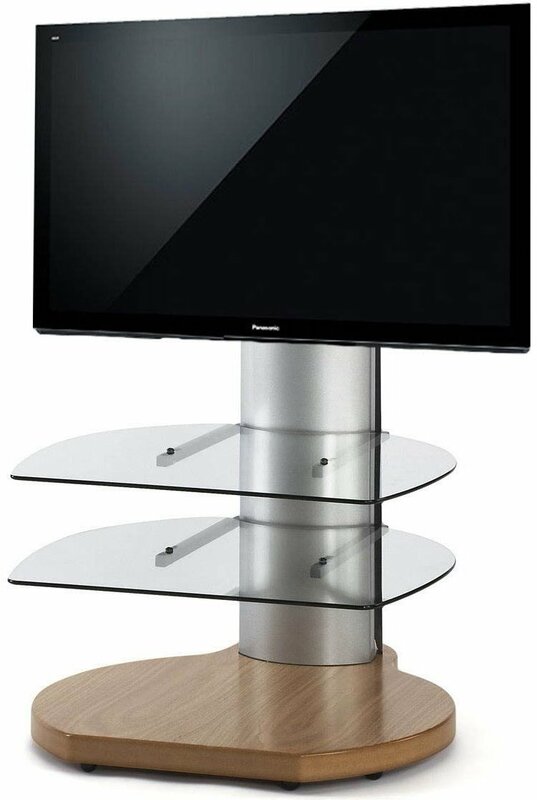 This TV Stand is compatible will all brands and screen sizes up to 32" provided the mounting holes on the back of the TV are less than 400mm wide. The glass shelves do not have fixing at front and back, so a front heavy appliance tilts and doesn't sit flat on the metal struts. It is very compact; ideal for a small lounge like mine. This is the only 1 i have seen for a long time and is ideal for me.